For those of you who Tweet, I invite you to follow me on Twitter. There are frequent updates, and I will be Tweeting throughout my upcoming art-viewing visit to San Francisco! Finally, a social group of which I can be a part – the Dull Men’s Club! Enjoy this short documentary on the Dull Men’s Club, Born To Be Mild. I wanted to call attention to this column by Maria Popova of Brain Pickings on the topic of criticism. Steve Goodier uses the language of self-help when he says, “Who do you spend time with? Criticizers or encouragers? Surround yourself with those who believe in you. Your life is too important for anything less.” Life is indeed much too short to be spent wallowing in the negative, spending our valuable, all-too-brief time on this planet with things (and people) that don’t do us good. This is a philosophy I have tried to embrace with my own blog, different though it may be from Popova’s Brain Pickings. The last role I want to take on for myself is that of critic, taking some item of cultural or artistic interest and judging it “good” or “bad” or “mediocre.” I want to spend my time writing about things that interest me, excite me, inspire me, motivate me, give me a sense of joy or wonder. 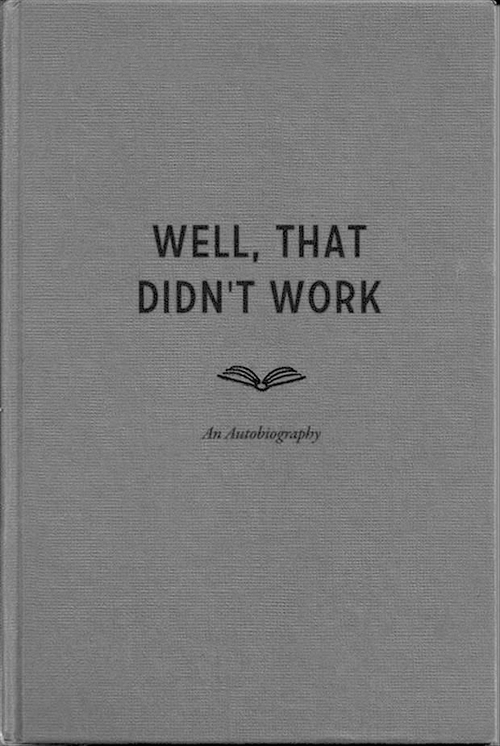 Many, I’d like to think, have a desire to read the same sorts of things. With the negativity that is so ubiquitous online, it’s nice to be able to put that aside occasionally. I certainly don’t want to contribute to the negativity, at my blog or elsewhere. It was a bright and early 5:30 a.m. rising today. 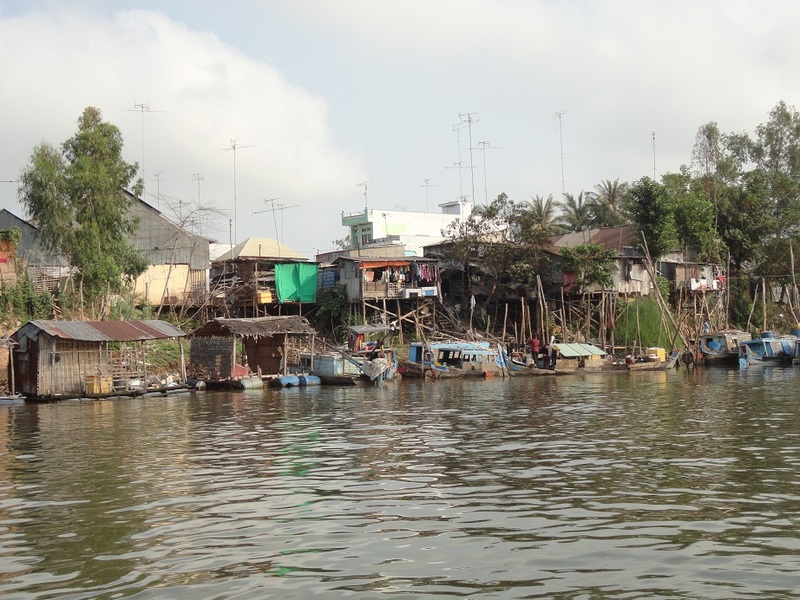 Shortly after 7:00 we boarded a boat to take us on a short trip along the Mekong River to a floating fish farm, where the splashing of the catfish and tilapia took everyone by surprise with its vigor. 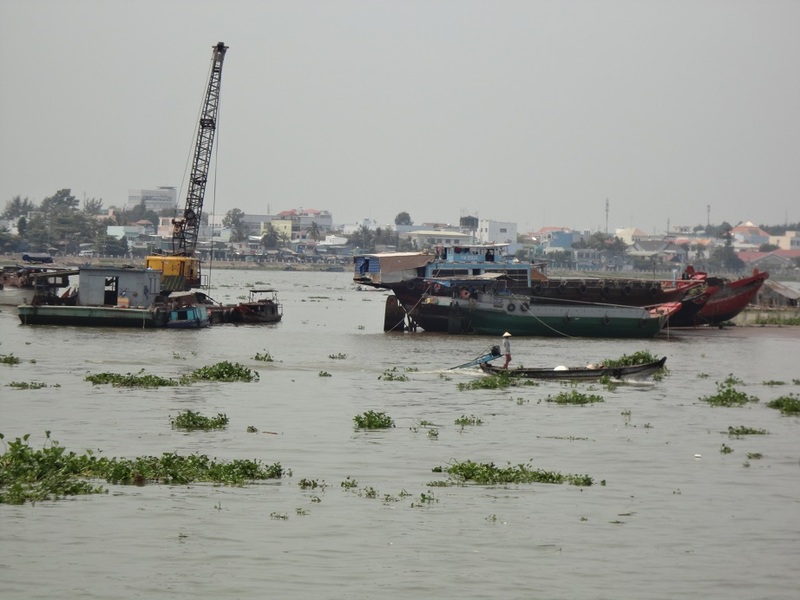 At that point we said so long to D, our fine Vietnamese guide, and boarded a motor boat for a five-hour ride further up the Mekong to Phnom Penh, with brief stops for both Vietnamese and Cambodian immigration. 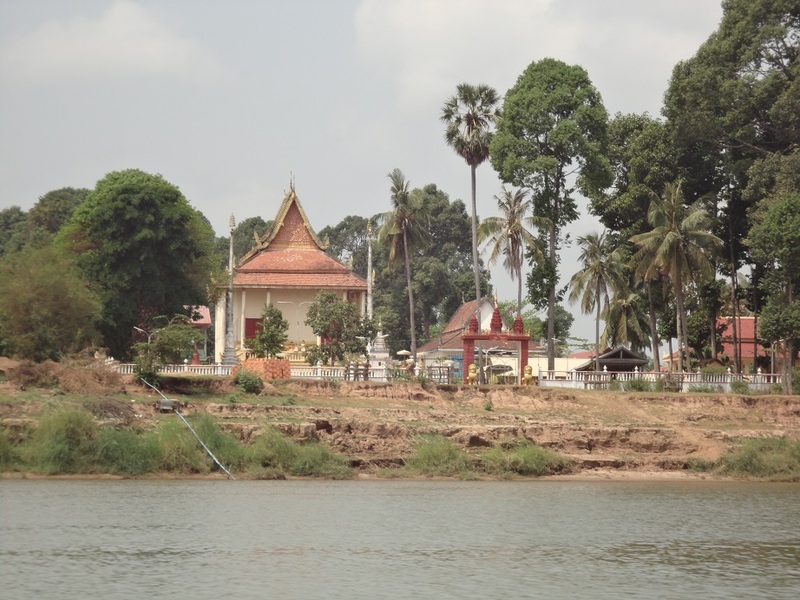 For the duration of the trip I was content to sit below, take the occasional photo of fishermen or homes or temples, enjoying the fact that I was once again on the fabled Mekong! It wasn’t an eventful ride, but definitely a meaningful one. Sadly, because of sitting on the left side of the boat, I got half a sunburn on my left side. But it’s not painful and I’m not stressed. 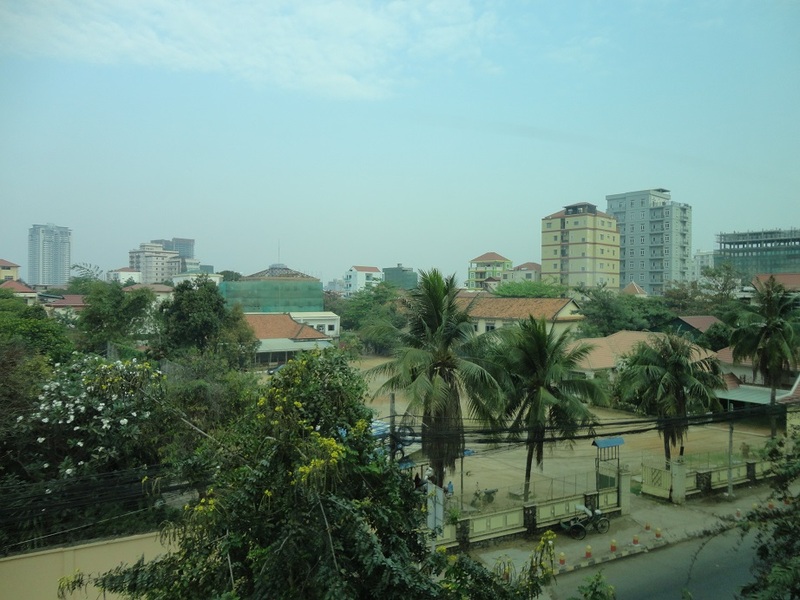 From the entry at the pier, Phnom Penh certainly looked like a busy modern city, on a much larger scale than Chau Doc. 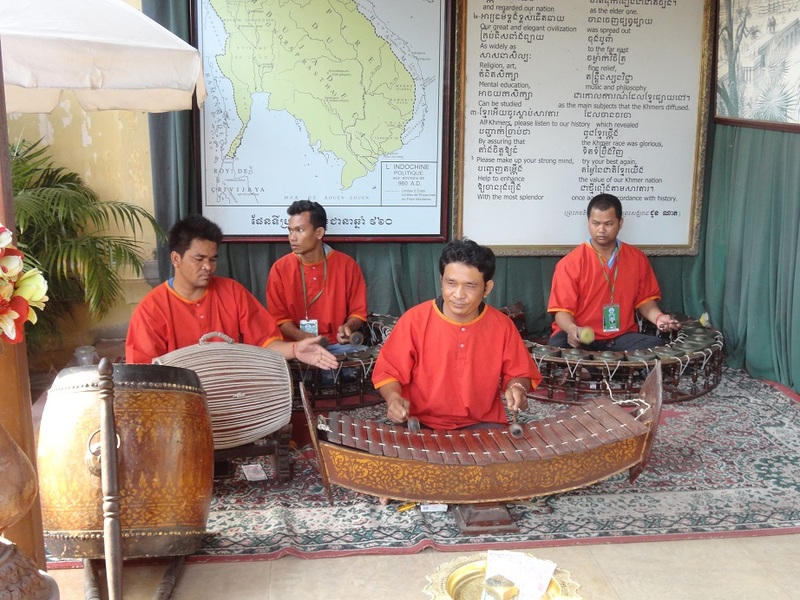 Our new Cambodian guide, T, says that the population of this capital city is about two million, versus the nine million of the entire country. 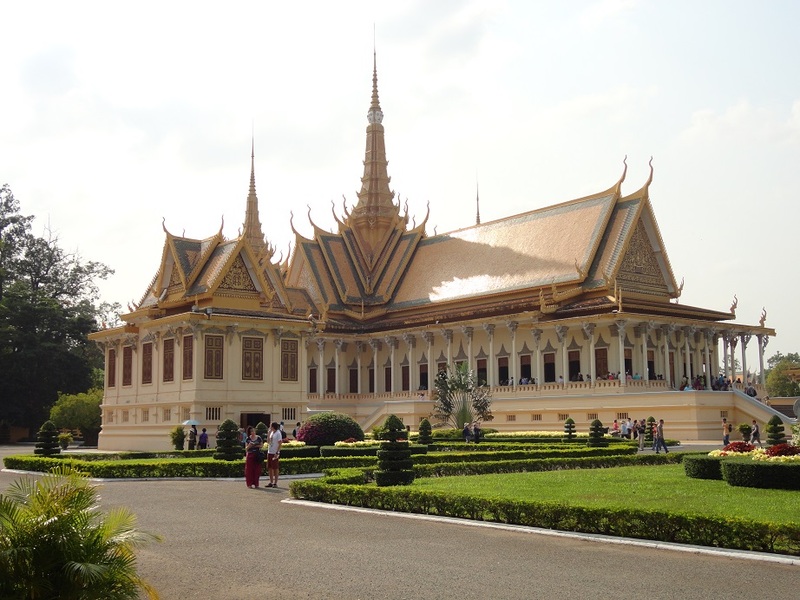 After that we went to the Royal Palace, the home of Cambodian King Norodom Sihamoni. 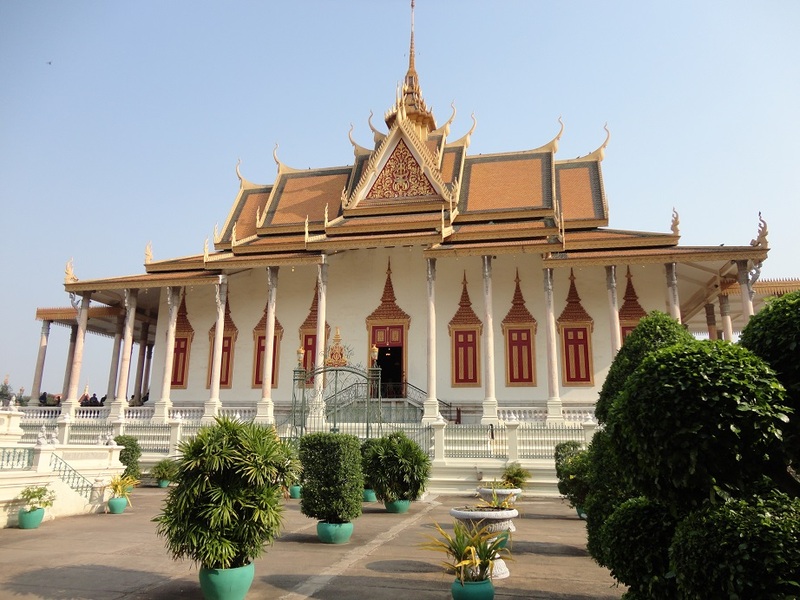 The King was on a trip to China to seek medical care for his ailing mother, so the Cambodian flag was not flying. 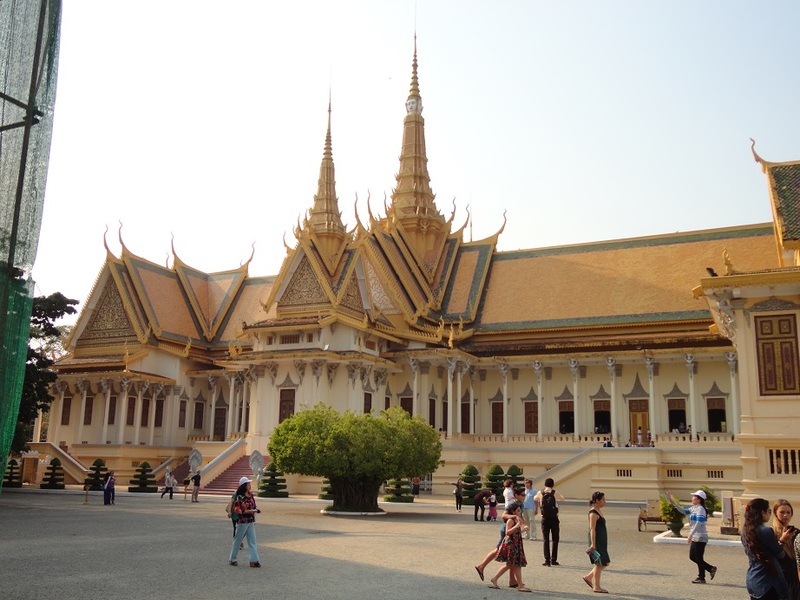 We got splendid views of the Royal Residence, the Throne Hall, the Moonlight Pavilion, and some smaller palaces. Mostly built in the 1860s and early 1870s, the buildings are elaborate and magnificent. We couldn’t enter the Throne Hall, but got a glimpse from the outside of the throne itself and the huge paintings within. 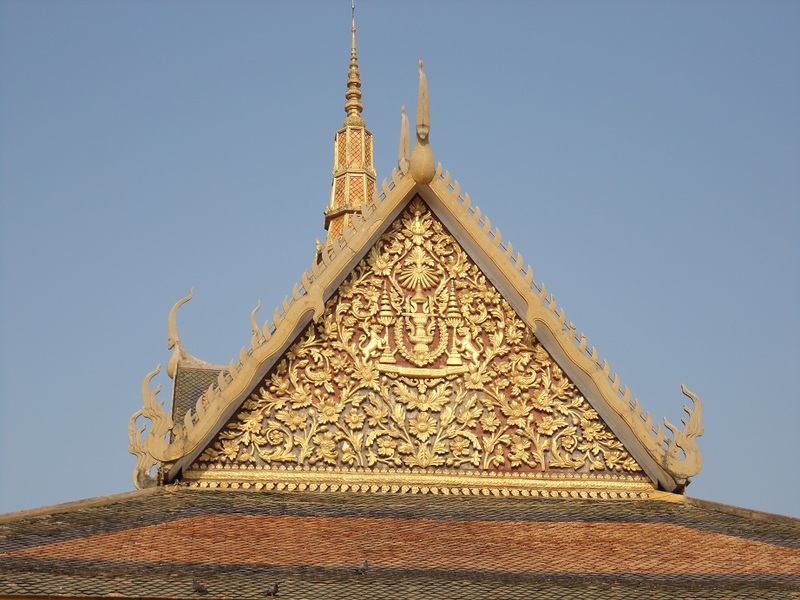 Adjacent to the Royal Palace is the Silver Pagoda – Wat Preah Keo Morokat, or Temple of the Emerald Buddha. Its name comes from the 5,329 individually crafted silver tiles that cover the entire floor. The Emerald Buddha itself may or may not be made of actual emerald; it may be some kind of crystal, but of course that isn’t the point. In front of it is the great solid gold sculpture of the Buddha of the Future Maitreya, adorned by 2,000-plus diamonds, the largest of which, in the front of its crown, is 25 carats. Hundreds of other Buddha figures large and small are on display, a few accessible – and touched gently by people for good health and long life – but most in glass cabinets. It wasn’t appropriate to take photographs within the temple. 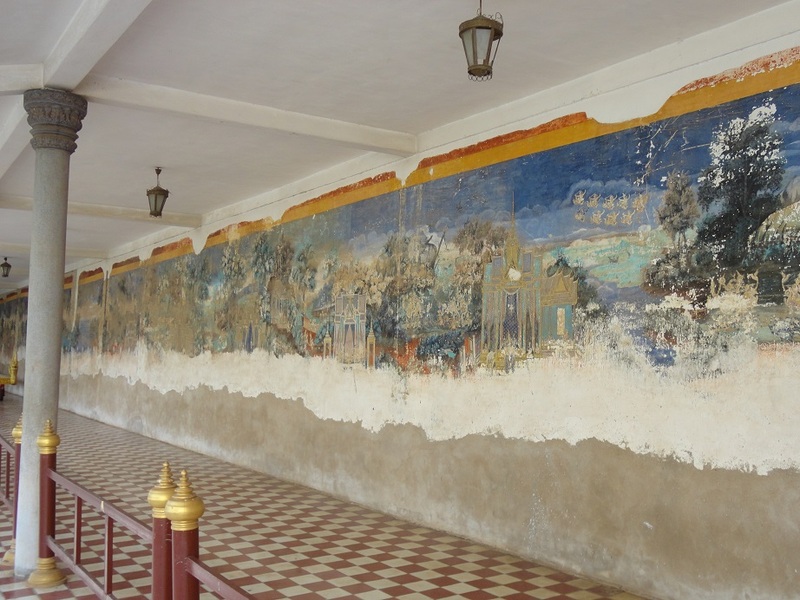 Back outside, we also got to see the beautiful but, sadly, heavily damaged fresco paintings of scenes from the Ramayana, which are only about 110 years old but are still in very poor shape. Back to the hotel for a laundry drop off and these notes, before a remok (Cambodian tuk-tuk) ride and dinner. 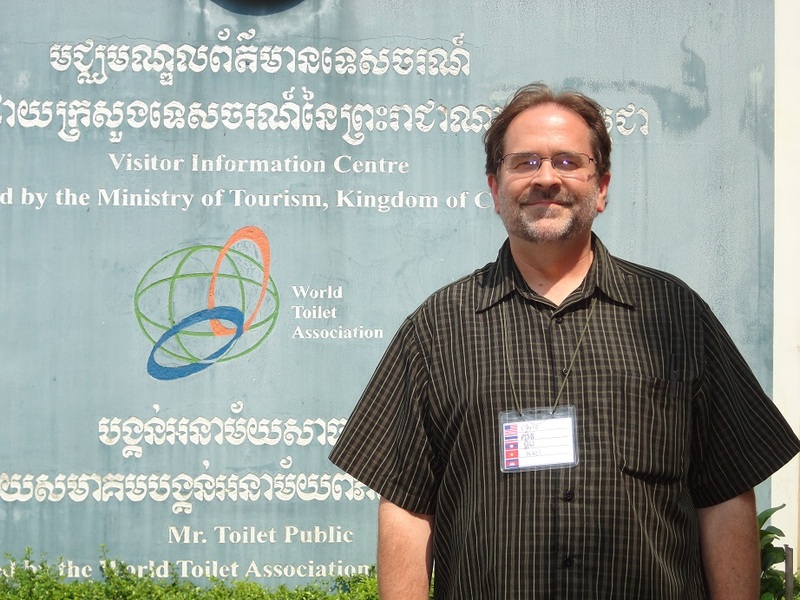 Yes, I’m in Cambodia!